Apologies that this post has come so late! I was working tonight and I was absolutely shattered! I came in, had dinner, then a bath and then watched the Apprentice final until 11pm but now I have gotten the chance at last as I'm tucked up in bed for the night! I get the first lie-in now tomorrow (thanks to the holidays) in an absolute AGE which is simply brilliant! For today's post, I decided that I would share with you my five favourite films I like to watch around Christmas time! 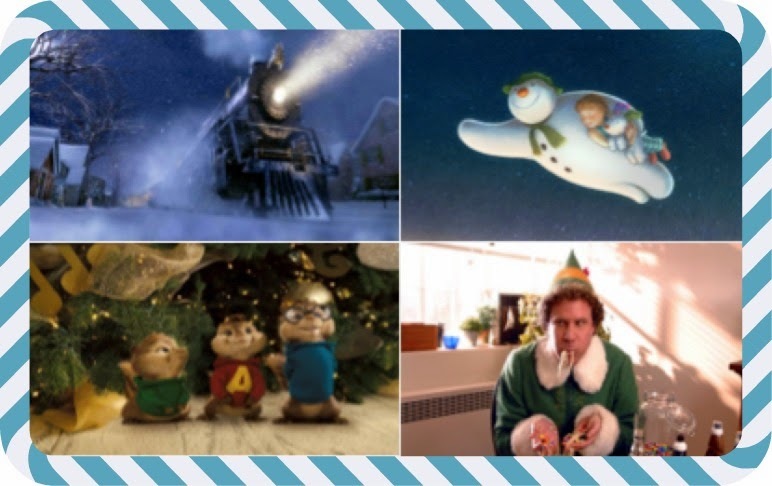 I actually haven't seen THAT many Christmas movies, so there are some glaring omissions such as The Grinch, Nativity and Frozen, but luckily I have very much seen these ones and look forward to watching them every year! YES okay this isn't actually a Christmas film per se, but like a whole number of loosely-tied tracks counted as Christmas songs, I count this due to it's festive scenes woven in amongst the madness! Some people will absolutely cringe at the entire concept and will find the accompanying soundtrack barely audible, but for me it's a total guilty pleasure! The Christmas song they sing ('Christmas Don't Be Late' I believe it's called) is utterly infectious and charming, and the other Christmas related scenes are so joyous as well, I love watching this at Christmas time! Sadly the sequels lacked the same magic as this first one. I'm pretty sure this tale is absolutely etched into every human beings mind even before the age of about eight! Calling someone who is anti-Christmas a 'Scrooge' is very much part of our terminology, and this very recognisable plot, courtesy of Charles Dickens, has very much stood the test of time and is now a Christmas staple each year. The heartwarming story of the change in Scrooge's attitude is simply magical since this turnaround seemed virtually impossible, ultimately emulating the euphoric feeling of the day itself. If there were a 'Christmas Films' category on Family Fortunes, I'm pretty sure this one would come out top as it's immediately adored and remembered each Christmas. This film is so omnipresent every year yet we never seem to tire of it! Buddy's childlike enthusiasm for Christmas is just so endearing and I feel like I still have that childlike part in me, where I will always be counting down the days until Christmas for years to come. So much warmth! I can remember the first time I ever watched this, at my nan and granddad's house with them quite a few years ago. I remember being completely blown away at the time by how magical it all felt! A really poignant part of the film was the bell and how only those who truly believed in the whole North Pole/Santa/Elves would hear it. I remember my nan and grandad giving me and my brother real-life versions of this bell and thinking it was the best thing ever! Once again, so much Christmas magic that really gets me in the spirit! Lastly, The Snowman is simply a classic, along with the choral 'Walking in the Air' that accompanies it. It's such a cute little story, with the sweet friendship of the boy and the snowman, as they fly through the town, which is completely elevated by 'Walking in the Air'. The ending is rather sad, but this animated tale truly has some magical moments. I'm still yet to see The Snowman and the Snowdog, though! That's all for today, I hope you all enjoyed! What are your favourite Christmas films? Haha I guess it's not really thought of as a Christmas film, but I personally love watching it at this time of year! Thank you very much, Elf is a great movie! These are all such great holiday movie picks! Love it. My personal favourite is the old-fashioned Rudolf the Red Nose Reindeer movie :) Super cute! Aw thank you so much! I actually haven't seen that one before but I hope to watch more Christmas movies this year so I very well might! Elf is just an all time classic. Don't think I know anyone who dislikes that film! You are so right there, such an annually treasured film! Ooh I've always wanted to see those two, thank you for sharing!